Back at my father’s house, I have been sifting through the files on my computer. I came across some stuff from my time in Afghanistan back in 2008. Watching a short photo-montage video which I made several years ago, I felt moved to share it. I think it captures the side of soldiering that so many don’t know about – ‘the human face.’ I have prefaced it with an extract from an article I wrote about my experiences in Afghanistan, which I hope expresses what this ‘human face’ meant to me. It has nothing to do with motorcycling, and very little to do with travelling. But nevertheless, I think you may enjoy it. War has been popularly defined largely by people who have not experienced it, through fiction as much as fact. It is not all about the fighting, as so often portrayed. War is a fundamentally human experience – and this is why I found it such an enriching experience. Facing adversity, and ultimately situations where your life may depend on those around you, generates very strong and intimate bonds with those people; the much used cliché, ‘a band of brothers’, is entirely apt. When danger is ever-present, all your senses are sharpened – and this extends into the relationships with your companions. Simple acts such as sharing a meal take on a richer significance. You feel the human bond much more acutely. Furthermore, I had professionally grown up with some of the men I commanded. I knew them well and considered them friends. For example my sergeant major and confidante, Suresh Thapa, had been a young rifleman in my platoon when I had first joined the battalion in 1995 as a second lieutenant. I do not have children, but I suspect the paternal bond between a father and a son is akin to that which I felt for my soldiers. Whenever I reflect on my time in Afghanistan, my fondest memories are those which reflect that special bond with my soldiers. One afternoon, when patrolling by foot in the mountains during a very cold period, a heavy snow storm enveloped us. As darkness fell, we packed ourselves into some small derelict huts – the only shelter we could find. After orders for the following day had been received and briefings complete, we settled in sharing tea and banter before bedding down literally shoulder to shoulder for the night. Under such situations, personal boundaries come down. Not since I was a child have I shared such intimate spaces as this. We felt like a big family. Perhaps my most poignant memory is that of the last night of our final operation. That day we had been patrolling on the desert fringe in about 20 vehicles and we were ‘leaguered up’ for the night, the vehicles parked in a protective square with sentries posted on each corner. Under a silent, star-lit sky, as all but the sentries slept around me, I stood in the middle of the leaguer and reflected on what a privilege it had been to lead these unique and special men and to have their trust. In that quiet and personal moment, that intimate bond that I talk of was so tangible. I am not ashamed to say I shed a quiet tear. The local Afghans were also very much part of the human experience. In a counter-insurgency, which the war in Afghanistan is, the local population is your primary focus, not the enemy. At the time I was there, I cared not for the political justifications and objectives for deploying troops to Afghanistan. 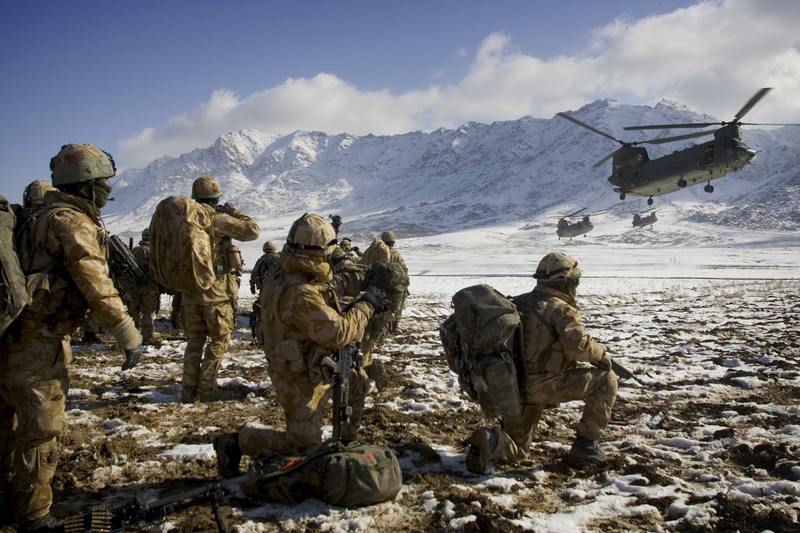 My concerns each morning were my soldiers and the local Afghans I would encounter that day. Our endeavour was to make the lives of those Afghans better in some small way. Sometimes that wasn’t possible, and on occasions our best intentions may have inadvertently made things worse, perhaps encouraging the Taliban to reassert themselves after we left. But there were times when you could feel that human connection, see it in someone’s eyes, and know we had made a difference no matter how small – even if that was simply showing the villagers that someone else cared about them. Thanks for sharing ‘something completely different’. Below is a link to a finalist in the Australian Tropfest Short Film Festival, that may be of interest to you. Thanks for sharing that. I’ve been thinking about evolving my interest in making short videos into more serious pieces to communicate important and perhaps hard hitting messages about the world we live in. This is a perfect example. Simple but powerful. Whilst this is totally ‘off topic’ it does show a little more of the man-on-the-bike we have all been following. The images in the video are superb and bring home the human face you mention. How could you not be changed by seeing the men and children in their homeland and your battlegrounds, serving alongside those ‘brothers’ you have now left behind. Adding the video and the link to your article are relevant and I am glad you chose to share. Good to see the boys again, Mark, even if is is only on the screen. Happy days…. Paul, thank you for sharing that with us and for putting it across so well. You must miss your men and the intensity of the experience you shared together.